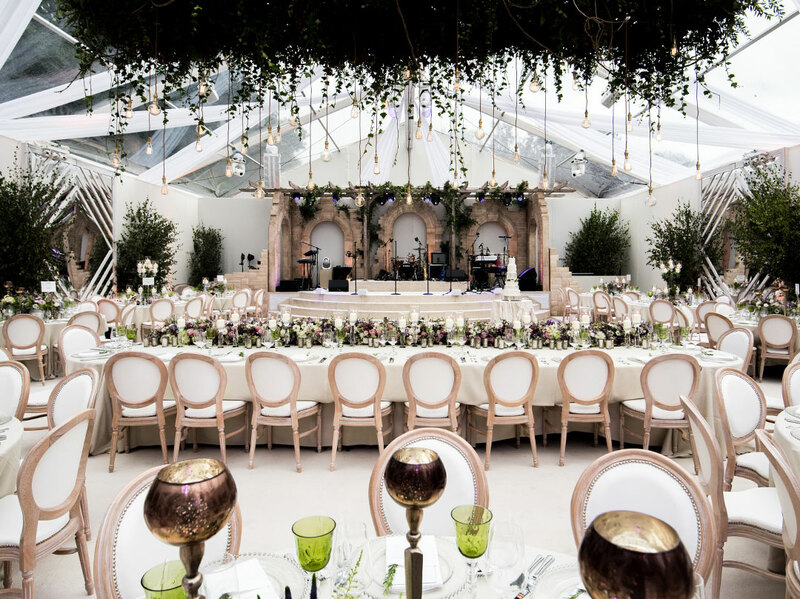 With ideas deriving from all that is British, classic and botanical, designing a wedding to take place in the Bride’s parents’ Surrey garden was truly a bridal dream. 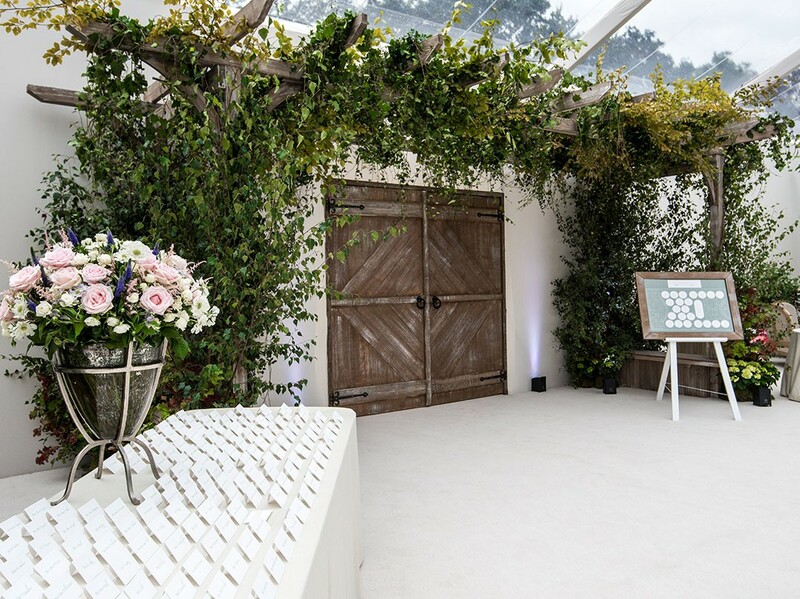 We were delighted to organise not only the special couple’s wedding day, but their dinner the night before and their recovery brunch the following day. 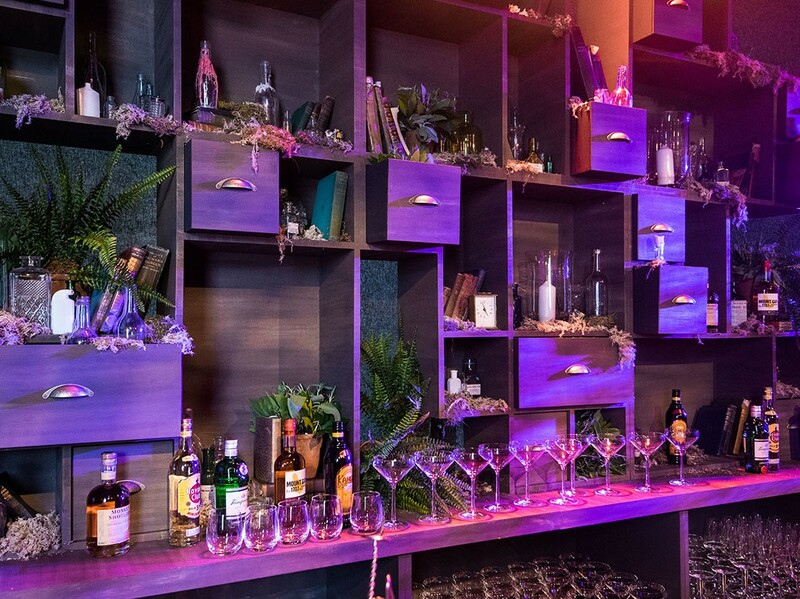 Opting for an art gallery on the Friday night, the guests enjoyed a delicious flow of champagne and canapés whilst getting in the mood for the events of the days to follow. 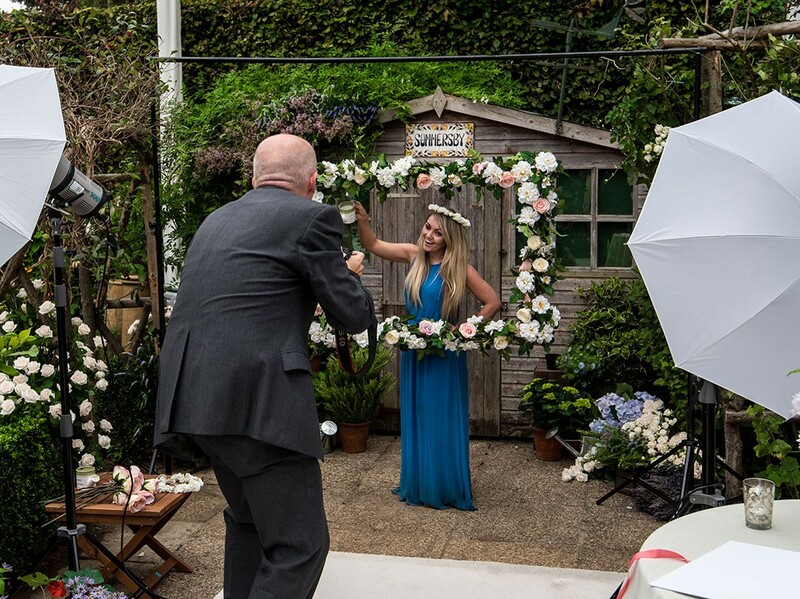 Encapsulating the family’s love of their garden within the marquee was an important design feature and we really embraced their stunning landscaped property by incorporating part of their garden within the structure as well as the garden shed as a photo booth! 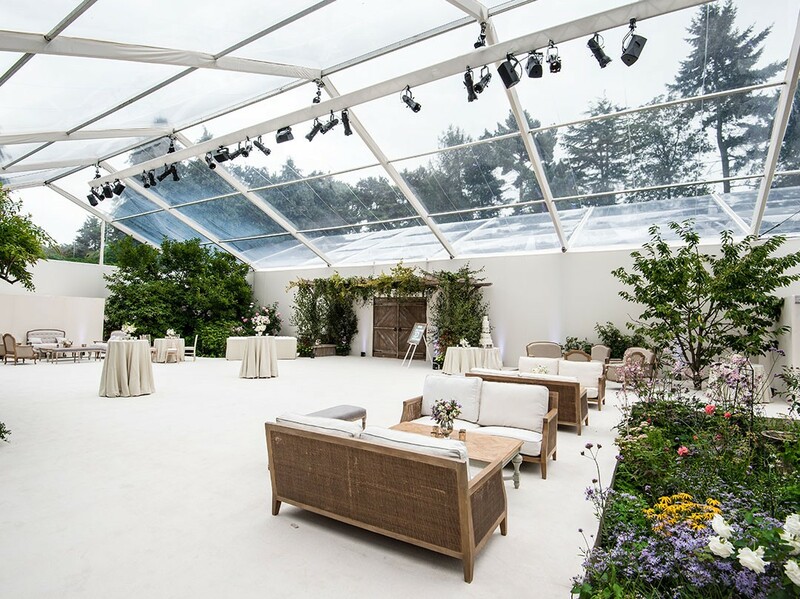 The marquee was light, bright and a botanical dream. 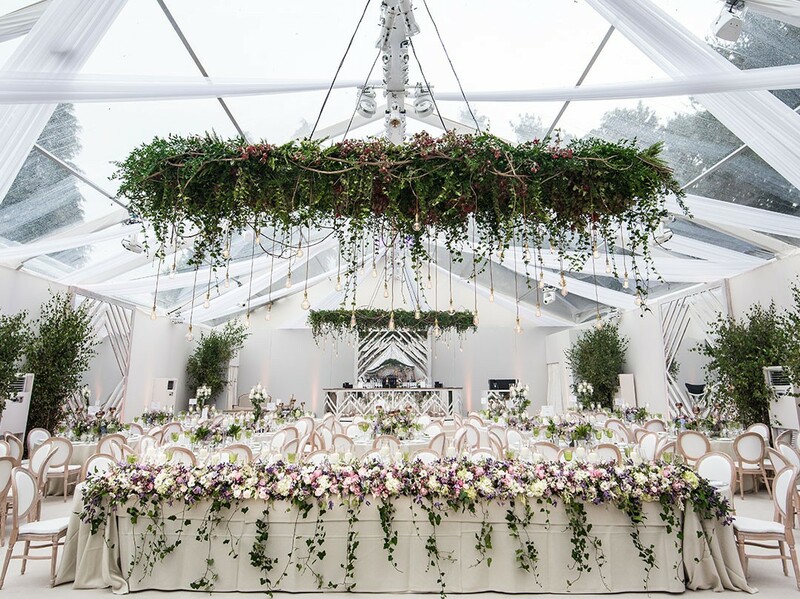 Leafy green trees, delicate florals and even a hedgerow were exquisite elements in the creation of this sophisticated enchanted garden. 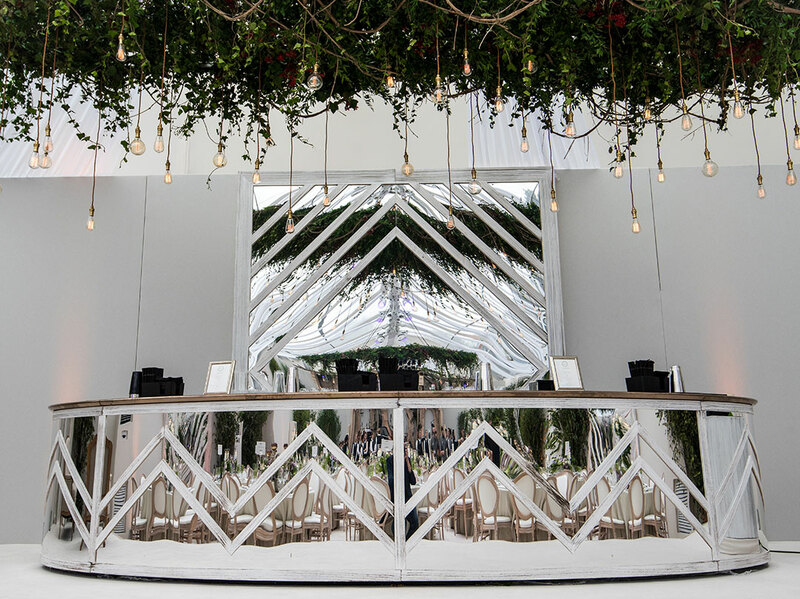 Everyone made their way through to the dinner in a separate part of the marquee which had been fitted out with mirror panelling on the walls combined with stylish draping and a show-stopping bar. 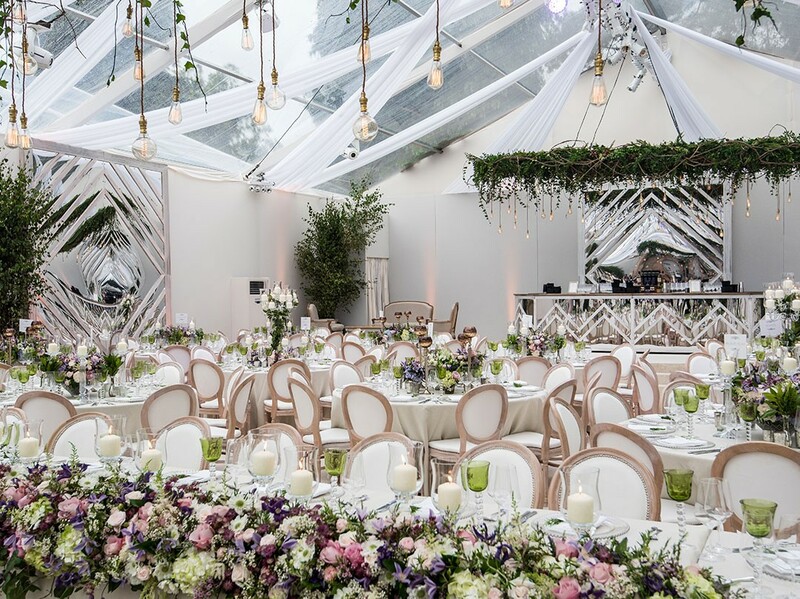 The design intricacy of the room however revolved around the breath-taking top table which had fabulous trailing florals and a suspended chandelier of foliage and filament light bulbs. 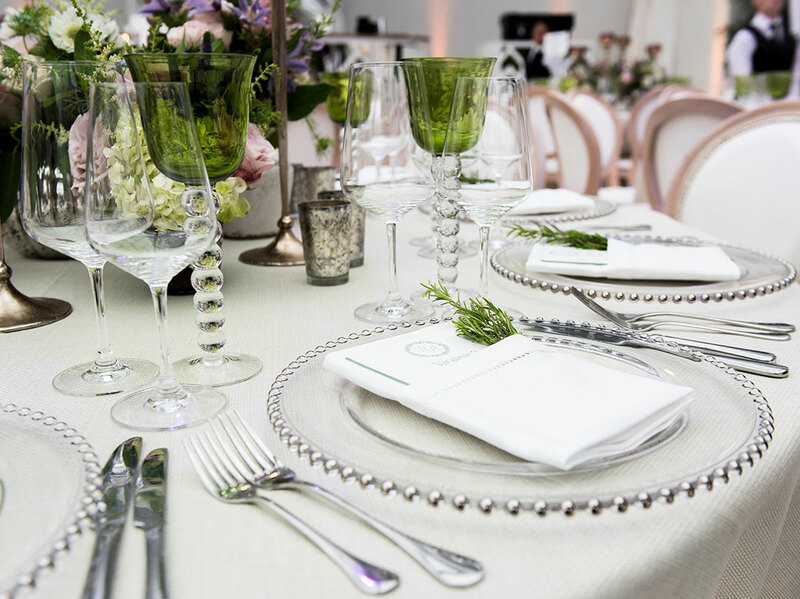 The coloured accents of the tableware, along with sprigs of rosemary tucked into all napkins were excellent ways of how to tie all elements together. 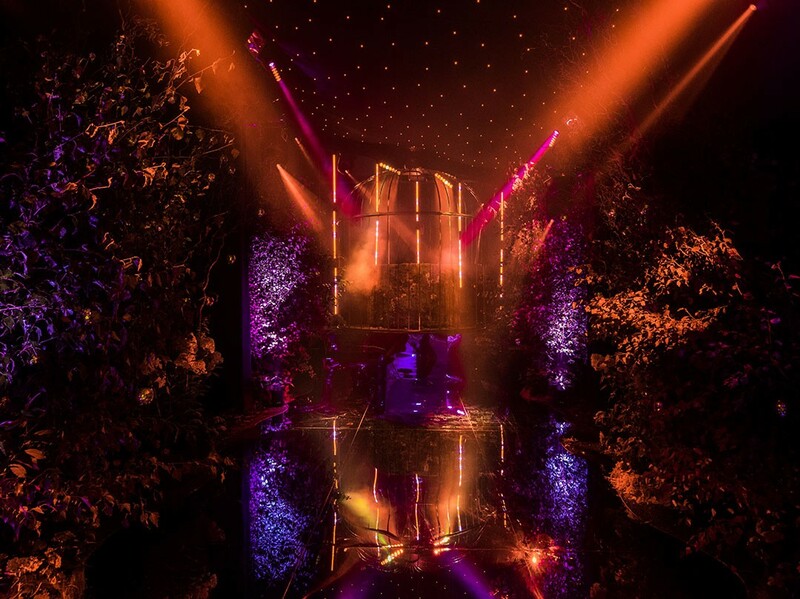 After the meal and the guests had made the most of the patio-designed dance floor, the guests thought it was all over but there was one last surprise… a secret nightclub! 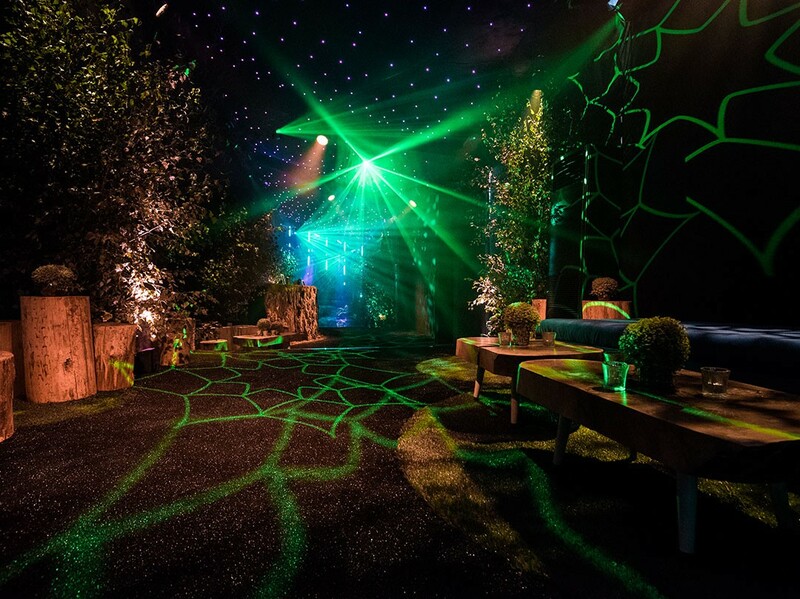 In an area of the marquee that had remained hidden until this point, a twisted Midsummer Night’s Dream nightclub was revealed. 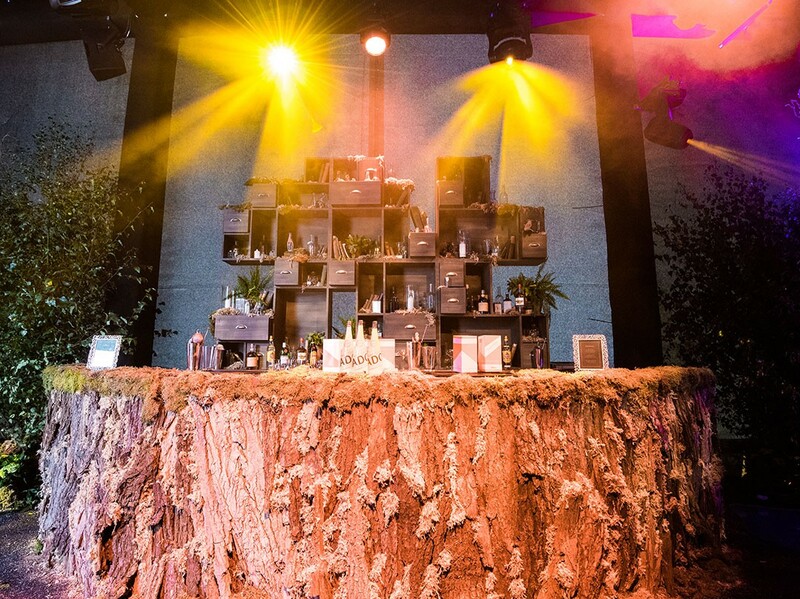 Complete with grass, a tree trunk bar, a birdcage DJ booth and bespoke woodland items. 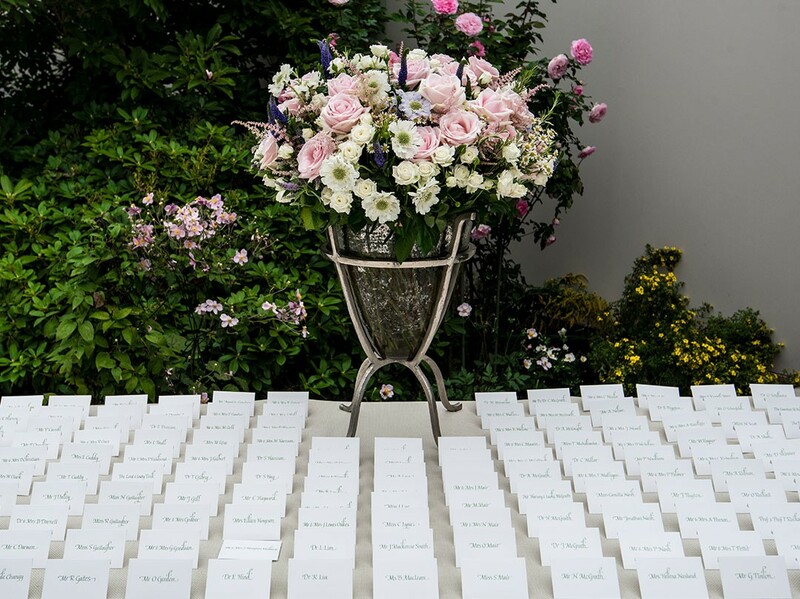 After such a fun and vibrant wedding day, brunch the following day was in the form of a Henley Regatta feel with personalised deck chairs, wooden furniture and parasols. 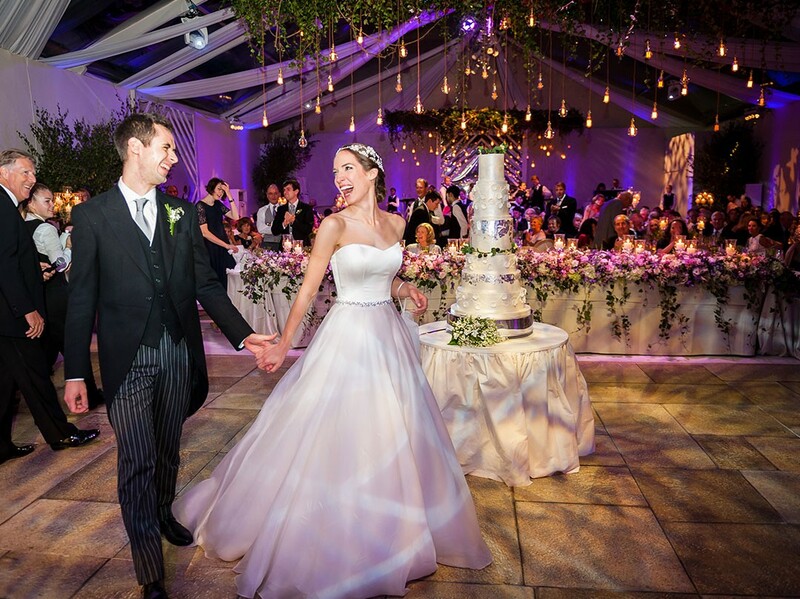 There could not have been a more perfect way to end such a spectacular English wedding weekend.